Battleship Beer Pong is the beer drinking game or shots drinking game that transforms a classic game into a hilarious drinking game. 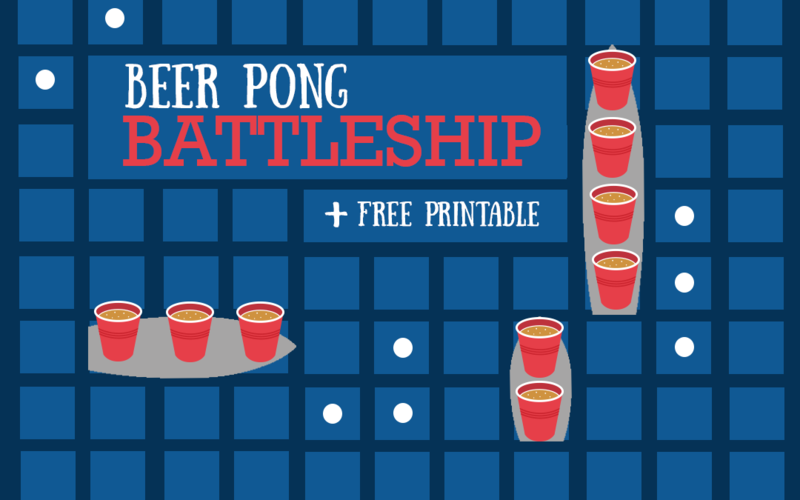 There are two ways to play this drinking game version, Battleship Beer Pong or Battle Shots. Battleship Beer Pong is typically played in a pool with the cups floating in ships and you must sink the floating ships. Battle Shots is similar to the classic game, guessing where the ships are on your opponents board, when you sink a ship, they take a shot. Typically a strategy game, Battleship Drinking Game keeps you on your toes with memory and strategy. With the combination of alcohol and memory, this game can get pretty laughable. Especially when you ask, E41 three times over. Make sure to keep track of what you have asked already on a seperate sheet. Battleships Beer Pong is a good group drinking game and typically played in the pool. Featured game in pool games for adults and 15 outdoor drinking games. You can purchase a Battle Shots board game or you can easily build your own battleships drinking game table. Keep reading for instructions for the rules to play each version of Battleship. We also have instructions on how to build your own Battleshots table. Battle Ship Beer Pong played in the pool will make your next pool party a hit. You can also play on a table top with the floatie pieces for a different beer pong target combintation. But played in the pool is so much fun, it keeps you cool and having fun at the same time. We could not find any Battleship Beer Pong games that are for sale. There was this Kickstarter for Battleship Beer Pong but they were unsuccessful in reaching their campaign goal and not sure if they still have products for sale. But I found this hack that I found on pinterest, where someone made their own floating ships from stryofoam. In the stryofoam, cut a holes for each of the red solo cups. I love this! The Battleship Beer Pong Rules are very simple and follow the same rules as beer pong. Best played with 4 people in teams of 2 or just one on one. Fill the cups with a beer worth for each team. Or due to the splashes put water in each cup and take a drink each time. Choose which team goes first. We normally choose by throwing for it or the oldest player goes first. Each team gets to throw 2 balls each round. The cups that are sunk, the other team takes a drink and removes the cup from the floating ship. Once all the cups from the ship are sunk, the ship is removed from the game. Once one team sinks all of the cups, the other team gets a redemption round. Each player on the team gets once chance to throw and hit all the remaining cups to win the game. If they do not, the team that sunk all the cups first wins the game. It can be bitter sweet when your opponent wins on redemption throws. Battle Shots is a different variation that has more similarities to the original game of Battleships. Battleshots is played with a privacy screen between the 2 players, and a battle shots board table. The objective to win, is to successfully guess where each of your opponents ships are placed on their board game. Battle Shots is typically played with small shot glasses, you can choose to fill this with alochol or beer. Filling your shots with beer will allow you to play a couple rounds more. We have found a couple different ideas for how to setup a Battle Shots table. There is only 1 mini game available online that you can buy, get the price. So here are 3 ideas to make your own Battle Shots Board. The Battle Shots board game size might very depending on how long you want to play each round as well as the space you have. If you are playing with an outdoor table you will probably want A-J and 1-10. We created a FREE printable for DIY Battle Shots. To play, print out 4 sheets, 2 for each player. One sheet is for your board where you play your shots, and the other board is to keep track of where your opponents ships might be. Our printable is A-E and 1-6. Simply take a table cloth from the dollar store, waterproof preferred, and place over the table. With the sharpie, measure 6 boxes across, 5 boxes down. You can choose to customize the board to be bigger or smaller. This way you can re-use the table cloth again and again. Place a privacy divider in the middle so each player cannot see their opponents board. This works great to take your table cloth with you for a fun drinking camping game. Yes, this is for the college students or for those of us that have a sweet spot for pizza. Get 2 pizza boxes, with a sharpie draw the board on the top and bottom, and place the pizza boxes up against each other. Not joking, this is a thing 😀 I think the person below must have been a delivery boy, it’s the cleanest pizza box I’ve seen! To play Battle Shots, the rules are very simple. Which is probably best considering the shot glasses involved. The size of your board depends on how many shot glasses you have. With a small board of only 30 squares, 2 ships with 3 shot glasses each person is suggested. 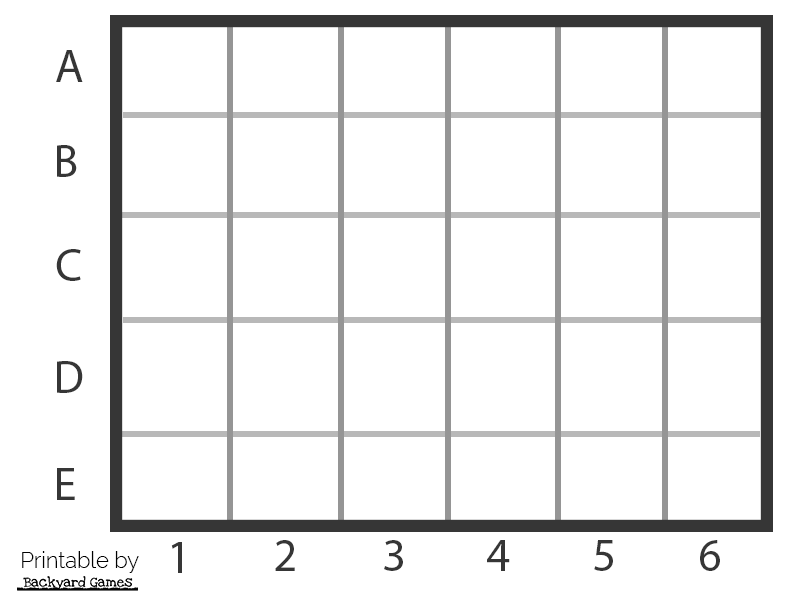 With a larger board of 49 squares, up to 8 shots per board is an option. Without your opponent knowing, position your shot glasses in a groups of 2 or 3, aka the ships, on the board. The first player will ask their opponent if there is a ship on B7 for example. If there is no ship, they mark off an x on their “Tracker” board and it’s the next player’s turn. If however there is a shot glass here, the player who was hit takes a drink. Mark an x on your tracker board to indicate a ship. The winner of the game is the first player to sink the other persons ships, in other words, all their shot glasses are empty. The rules are that simple, if you are looking for other fun drinking games keep reading our favorite 15 outdoor drinking games or 20 drinking card games.